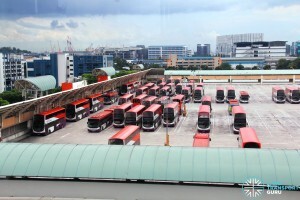 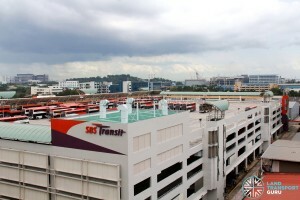 Soon Lee Bus Depot is a bus depot under SBS Transit’s West District. 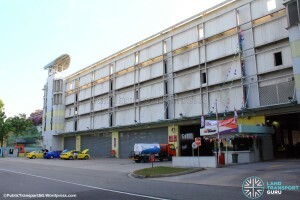 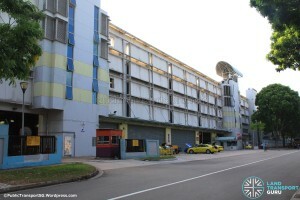 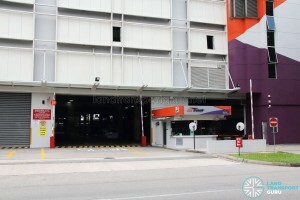 Located at Soon Lee Road within the Jurong Industrial Estate, it serves as a parking and maintenance facility for bus operations mainly around Jurong East, Boon Lay and Tuas. 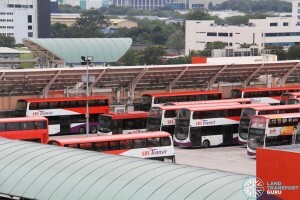 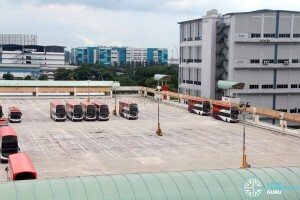 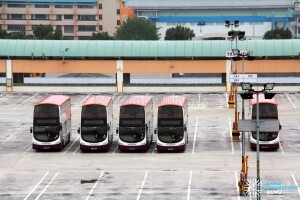 Soon Lee Bus Depot (also called Soon Lee Bus Park) is a major bus depot serving the far west of Singapore, and provides maintenance and refuelling work for buses operating on routes serving the Jurong West area. 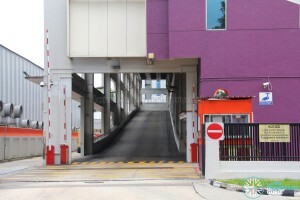 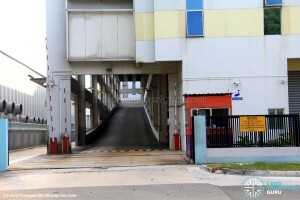 Located within the Jurong Industrial Estate, it is commonly referred to as SLBP. 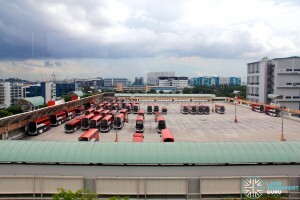 The depot covers an approximate land area of 26,670 square metres. 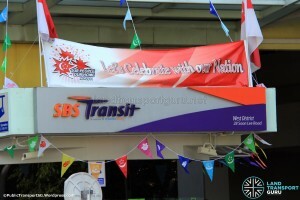 It was officially opened by Minister For Transport Mr Yeo Cheow Tong on 8 August 2002, with SBS Transit holding the land tenure of 30 years starting from 1 April 2000. 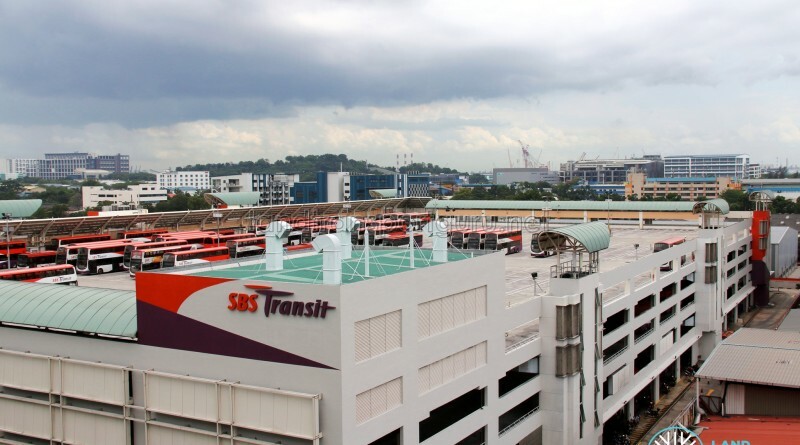 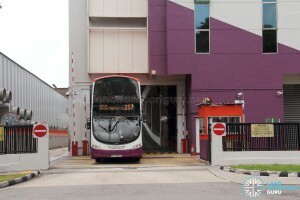 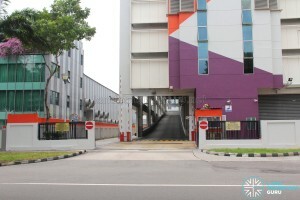 Soon Lee Bus Depot is currently SBS Transit’s only multi-storey bus depot, spanning three floors. 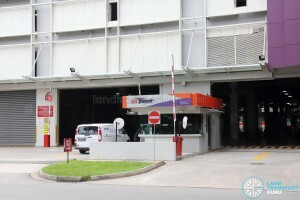 The ground floor houses refuelling and washing facilities, as well as repair and maintenance facilities. 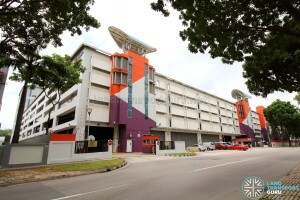 The upper floors house more space for parking of buses. 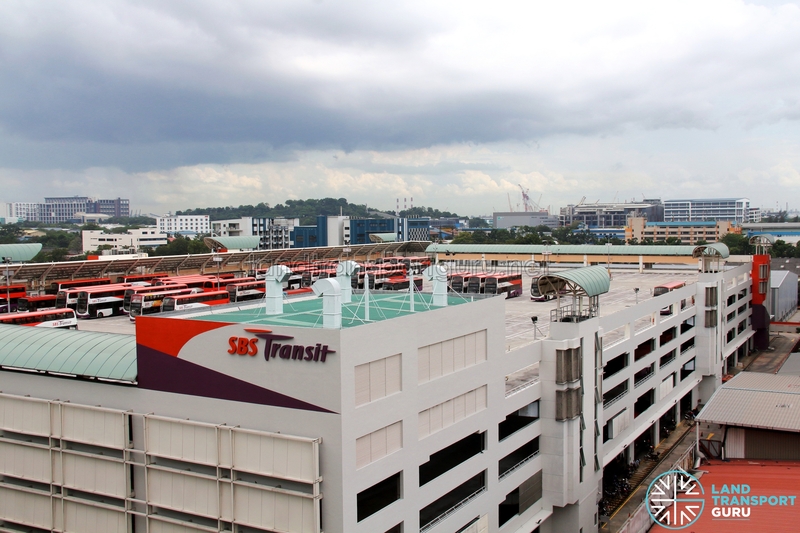 The depot houses administrative offices to support day-to-day bus operations, as well as the Bus Operations Control Center (BOCC) for SBS Transit’s West District, covering Bukit Batok Depot, Ayer Rajah Bus Park and Hougang Depot buses.